Do you remember how you learned prepositions? I'm sure we heard about them earlier, but I don't remember learning what they were until 9th grade! My wonderful 9th grade English teacher taught us the phrase "The rabbit ran _____ the log. If the word fits, it's most likely a preposition. I LOVE teaching this skill and teach it the same way. That little trick always stayed with me and I was certain it would help my kids, but to my surprise last year, the kids did not understand it AT ALL! This year, I started off simplier. I downloaded some cute rabbit and log clipart and had the kids write a write using a preposition in place of the blank. Then they had to illustrate the sentence. I created a preposition board to display their work so when we get into prepositional phrases they will hopefully understand it a little better. 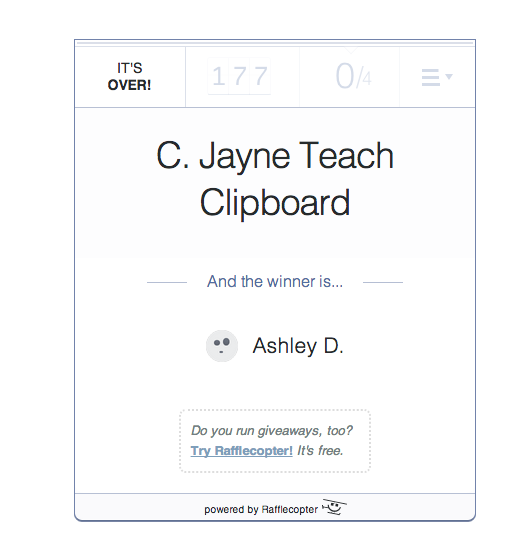 Now for the winner of the C. Jayne Teach Clipboard Giveaway! 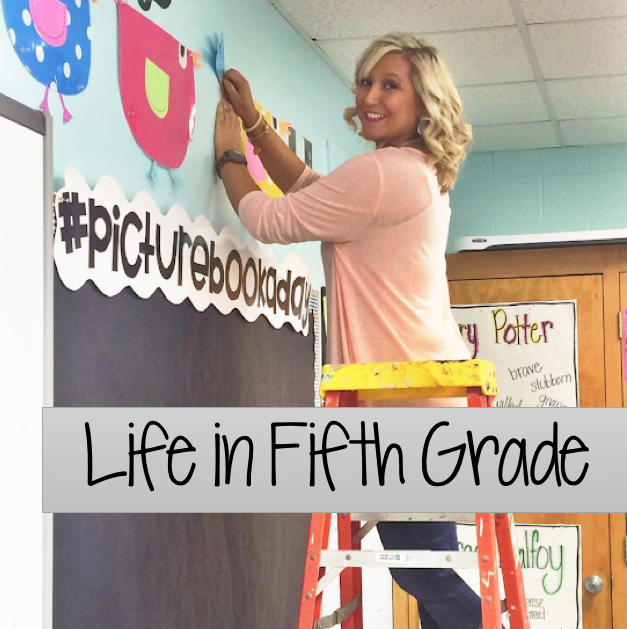 One of our 4th grade teachers teaches prepositions as "anything a frog can do to a log." The kids love this, and it really seems to help them understand prepositions a little better. I love reading the book Rosie's Walk. It is a short, simple story that follows Rosie around the farm. The hilarious part is that she is being followed by a fox and she doesn't realize that she is outsmarting him. Each page uses a prepositional phrase to describe where Rosie is. After reading the book, I have my students create their own version of the book using their own character and prepositional phrases. We will be working on prepositions when we get back from winter break. I think I will add your saying and quick activity to my unit. Thanks for sharing!